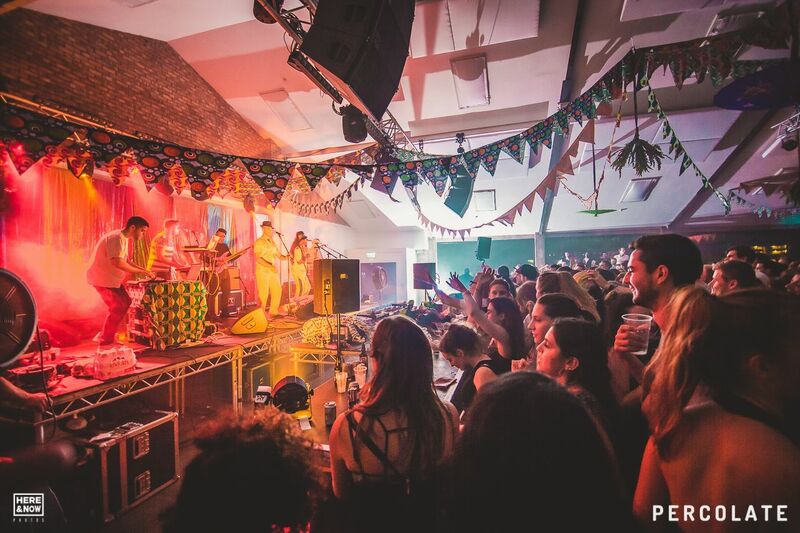 From underground sensation to main stage headliners, Afriquoi are on the rise with their unique brand of live African dance music, grown right here in the UK. With members born across 3 decades and 3 continents, there are few truer embodiments of London’s multicultural melting pot – uniting a vast depth of musical knowledge, culture and life experience to create captivating, beautiful, dancefloor-focused vibrations for a new generation of music lovers. After an epic summer including shows at Glastonbury’s West Holts stage (alongside Dizzee Rascal, Thundercat, Kate Tempest and BBNG), Malta and all across Europe – the boys return to smash it on home turf, a year since their first show for Percolate. We are excited. 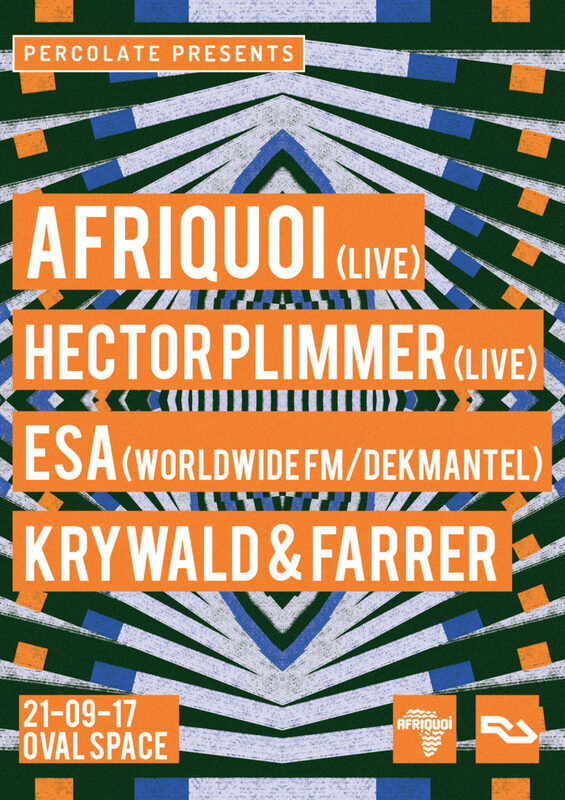 They’ll be joined by a live set from South LDN rising star Hector Plimmer, South African polymath Esa, and Krywald & Farrer who remixed the last EP.